It is no secret that football has its own niche of followers in India. Those of us who are not cricket-crazy follow our favorite teams with jest. That is why we have just the app for you. 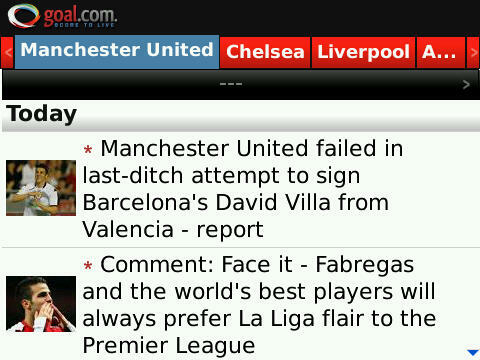 Goal.com mobile reader is a treat for football enthusiasts. 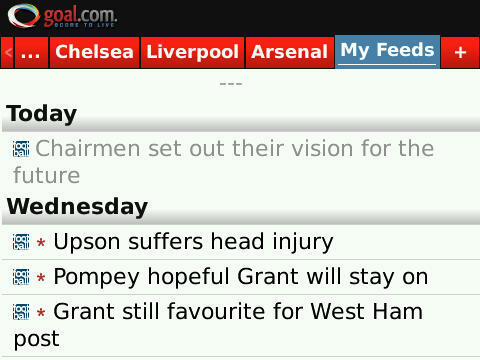 It is designed in the way any sports update app is designed, The app has a colourful and pretty functional UI. The app has been a joint venture of Handmark and Goal.com. The purpose here is to provide you each and every update on time. It is an ideal app for football crazy fans turned professionals. It comes at you with on the go football information and regular updates. The app is divided into different tabs to let you choose your favorite team. Yu can also choose from tournaments – the world cup, European League etc. The app is customizable too, you can just go into my feeds tab and select the content you want, just like you would do in any RSS system. You can also doive into any section/article you want by clicking on it. Not only that, you can share the stories you like on twitter, Facebook etc. You can also email stories to people from your address book. You can download it here.